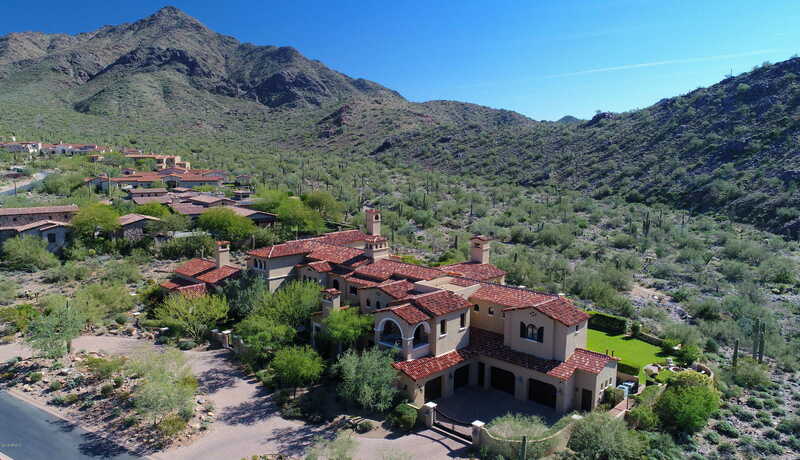 Extraordinary estate nestled in Silverleaf’s Upper Canyon backing to the McDowell Mountain preserve, this home is exquisitely picturesque with its majestic mountain backdrop, dramatic down valley city views, and upper level golf course scenery. Built by Catalina Custom Homes with design inspired by traditional Spanish architecture, this storybook home is a living legacy of grace and character. A true architectural masterpiece, this home features five generously sized bedroom suites, eight baths, two well-appointed offices, a charming generously-sized game room with a warm pub feel. Complimenting the home’s charm are ten patios/outdoor living spaces that allow for privacy and a variety of magnificent mountain, desert, garden, and city light views. I would like to schedule a showing appointment for this property: MLS# 5856113 – $10,000,000 – 10835 E Mountain Spring Road, Scottsdale, AZ 85255.